Until Sunday, January 23, guests who book a Thursday-Saturday package receive Sunday free. Availability is limited so book the Thursday-Saturday package online and then call to receive Sunday free. Visithttp://silvertonmountain.com/ for more details. At Purgatory Resort, aspiring little riders ages 3 to 6 can experience supervised snowboarding at Burton Riglet Park on select dates in January, February and March completely free, equipment included. Visit https://www.purgatoryresort.com/ for select dates and other deals. The next free ski day at Howelson Hill will be Sunday, January 15. Howelson Hill hosts free ski days throughout the season, which are from 10 am to 4 pm and include a ski jumping clinic taught by coaches from the Steamboat Springs Winter Sports Club. Visit www.steamboatsprings.net/ski for more information and a full list of free ski days. Every Thursday and Saturday, Granby Ranch hosts live fireside acoustics performed by local musicians. Guests can stop by the 8350 Bar and Bistro on Thursdays and the Granby Ranch Grill on Saturdays from 2 pm to 5 pm. Visit http://www.granbyranch.com/ for more details. Guests flying into Crested Butte from Los Angeles on Alaska Airlines can receive a free lift ticket anytime they stay before March 25, 2017. Guests can also ski for free the day of their departure by presenting an Alaska Airlines boarding pass and matching ID at the ticket counter. In addition, Crested Butte offers children ages 12 and under free skiing from April 1 to April 9, 2017. Visit http://www.skicb.com/ for more information. On Tuesdays in January and February, Cooper offers buy one get one free tickets. 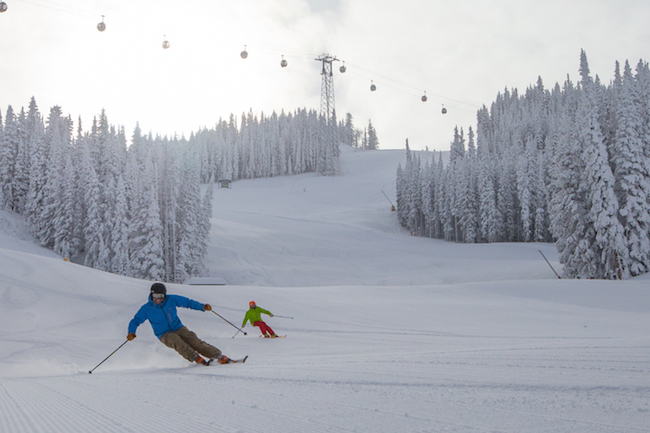 For just $52 two people can ski for the price of one on 2Fer Tuesdays through February 28. For more information visithttp://skicooper.com/. Guests who own an electric vehicle can charge for free at one of two EV charging stations in Copper’s Beeler parking lot in Center Village. Reservations can be made in advance at http://www.chargepoint.com/.Additionally, anyone can stop by Patrol Headquarters or Timberline Patrol Station for a free cup of hot cocoa during National Safety Month in January. Visit http://www.coppercolorado.com/ for more information. Fabulous list and important things to note for us visiting!